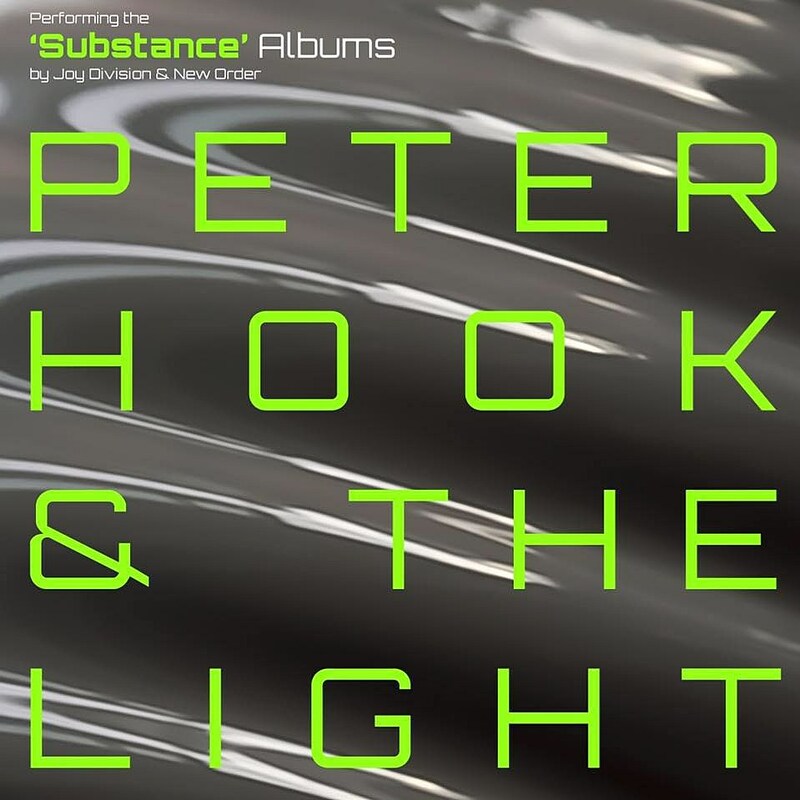 Peter Hook & The Light will be bringing their “Substance” tour back to North America in 2018, playing both the Joy Division and New Order Substance compilations in full. The tour hits NYC’s Brooklyn Steel on April 27 and tickets are currently on AmEx presale with the general on-sale beginning Friday, July 21 at noon. Additionally, Peter Hook & The Light will be playing a standalone Joy Division Unknown Pleasures/Closer show at Los Angeles’ The Wiltern on May 18. 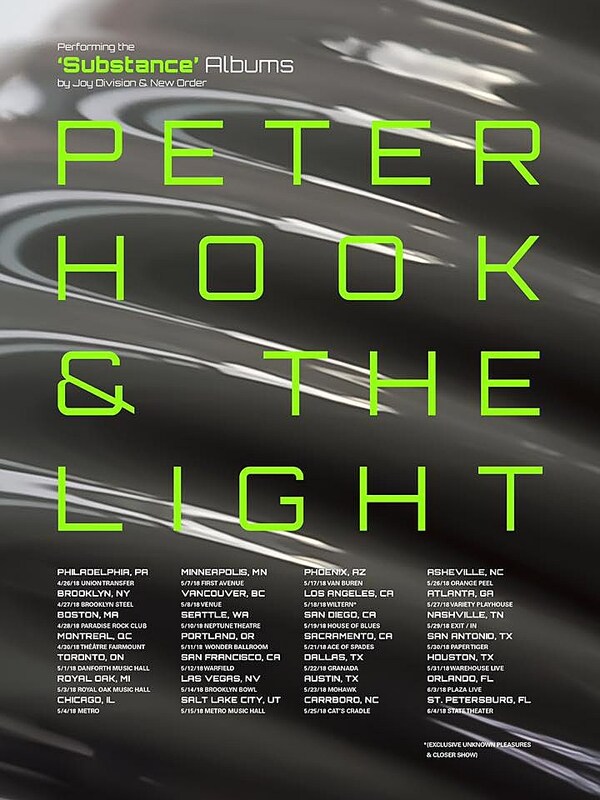 All Peter Hook dates are listed below. Speaking of, Tuesday (7/18) was the 37th anniversary of Joy Division’s second album Closer. APRIL 26 – Union Transfer, Philadelphia, PA.
APRIL 27 – Brooklyn Steel, Brooklyn, NY. APRIL 28 – Paradise Rock Club, Boston, MA. APRIL 30 – Théâtre Fairmount, Montreal, QC. MAY 1 – The Danforth Music Hall, Toronto, ON. MAY 3 – Royal Oak Music Theatre, Royal Oak, MI. MAY 4 – Metro Chicago, IL. MAY 7 – First Avenue, Minneapolis, MN. MAY 8 – VENUE, Vancouver, BC. MAY 10 – Neptune Theatre, Seattle, WA. MAY 11 – Wonder Ballroom, Portland, OR. MAY 12 – The Warfield, San Francisco, CA. MAY 14 – Brooklyn Bowl Las Vegas, NV. MAY 15 – Metro Music Hall, Salt Lake City, UT. MAY 17 – The Van Buren, Phoenix, AZ. MAY 19 – House of Blues San Diego, CA. MAY 21 – Ace Of Spades, Sacramento, CA. MAY 22 – Granada Theater, Dallas, TX. MAY 23 – Mohawk Austin, TX. MAY 25 – Cat’s Cradle, Carrboro, NC. MAY 26 – The Orange Peel, Asheville, NC. MAY 27 – Variety Playhouse, Atlanta, GA.
MAY 29 – Exit/In, Nashville, TN. MAY 30 – Paper Tiger, San Antonio, TX. MAY 31 – Warehouse Live, Houston, TX. JUNE 3 – The Plaza Live, Orlando, FL. JUNE 4 – State Theatre Saint Petersburg, FL.